The first big challenge we faced, was the funds needed to own the intellectual property, since the initial IP was developed by us when we were employees of our previous organization. We had to raise a seed round within three months in order to ensure that Niramai could own the IP. We were happy to secure the backing from our investors such as piVentures, Ankur Capital, Axilor Ventures and 500 startups without whom this wouldn’t have been possible. The key challenge we are addressing was to enable early screening of breast cancer for all women. Current technologies for detecting breast cancer do not work on women under 45 years of age, they are not suitable for frequent screening and also not accessible to many women. We have developed a new way of doing breast cancer screening in a privacy aware manner, in women of all age groups, more accurately than standard methods. A key challenge we faced was to prove the clinical validity of the solution and get acceptance from medical community. We worked with major hospitals in India to conduct clinical trials and publish in international journals in order to establish the efficacy of the solution. The results from these trials have helped us gain the trust of expert radiologists and product roll out. Niramai provides a novel solution for breast cancer detection that is privacy aware and can detect cancer at an early stage. Niramai’s Thermalytix solution uses a high-resolution thermal sensing device and an in-house developed patented software to scan the chest area for any thermal abnormality. The thermal sensing device is placed at 3 feet from the lady and the temperature distribution on the chest is measured in non-contact non-invasive way. Niramai software analyses the thermal images to generate a diagnostic report that gives a breast health score and marks the location of abnormality in the thermal image. “We analyse approx. 400,000 temperature values and look at various clinical parameters to detect abnormality, if any. There is no touch or radiation involved in the process,” says Dr Geetha Manjunath. Breast cancer is the largest form of cancer found in women today. Early detection is key to improve survival rates and reduce treatment cost. Yet, there is no cancer detection test that can safely be used for regular screening. There is no test that can detect early stage malignancy (cancer) particularly in women under 45 years of age. Niramai breast cancer screening test is radiation-free, non-contact and non-invasive. It has the ability to detect early stage cancer in women of all age groups. The test can be used in hospitals and diagnostic centres for preventive health check. Apart from being portable and affordable, it is can be used in outreach programmes and corporate camps as well. Niramai aims to expand the availability of breast health screening solutions to women all over India in the next one year. For that purpose we partner with various stakeholders including hospitals, diagnostic centres, individual practitioners, NGOs, Government and corporate. This start up raised $1 million in seed funding in April 2017. Our solution in commercially available to hospital, diagnostic centres and NGOs at a fraction of the cost of a Mammography machine. We are in early-revenue stage right now. Niramai is working with hospitals and diagnostic labs in three states in India and plans to expand this year to other parts of the country. Our plan is to expand beyond India by the middle of next year. 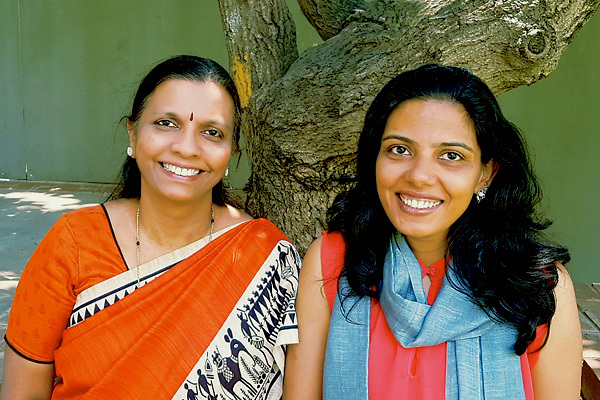 Niramai expects their test to be incorporates as a standard preventive screening tool that requires minimal skills to operate into their clinical practice across the country making breast cancer detection accessible to every woman, dramatically change efficiency, and save money into the bargain. Within a year of the launch of the solution, the company has won several national and international accolades. It was one of the only four Indian start-ups invited to participate in the Google Launchpad Accelerator Class 5 in San Francisco. It was also selected by Philips for their first edition of HealthWorks programme in India. The company won the Amazon AI Award in healthcare category, BNP Paribas award for Best startup in Preventive Healthcare, and Best Startup in Indian Cancer Congress. Presently, the solution is available in 11 hospitals across 3 states in India today. The test has received regulatory clearance from DCGI for breast cancer diagnosis. Being a no-touch no-see solution, Niramai test addresses the socio-cultural issues in cancer screening and has now become the most sought out test by Indian women.